The gallery 'high-school-seniors' is empty. Thanks for checking out my website. If you take a few minutes to browse my galleries you?ll see that I'm not your typical portrait photographer. In fact I am an Outdoor, Nature and Wildlife Photographer who uses all the experiences I have gained in photography to make portraits that bring out the character of my subjects. Your senior year is a time of big changes. 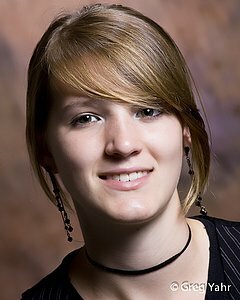 Your senior portrait should be a statement of who you are as well as the person you hope to become. I try to bring that out during your Senior Sessions but I will need your help to do that. A pre session discussion/consultation is highly recommended. At that time we can talk about your ideas and what you hope to get out of your session. For variety I recommend two sessions one in the studio and one on location. The on location session can be at your home, a local park, an urban setting, any place that has some meaning to you. The possibilities are endless. Please give me a call at 262-338-0712 or send me an E-mail to gregyahr@sbcglobal.net (or use the contact form on this page) to set up a pre session consultation to discuss your ideas and together we will custom design your photo shoot. 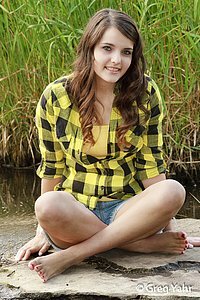 Click Here to View my Seniors Portfolio. PS: I hope you'll hire me for the quality of my work but you will also find that my prices are very affordable and competitive.